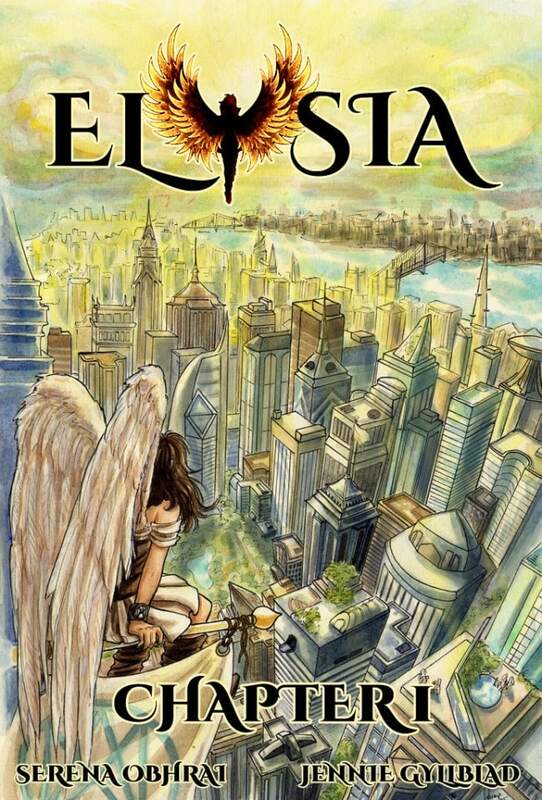 Elysia Comic/Graphic Novel Kickstarter Project…Successfully Funded! If you missed out on the Kickstarter, you can head on over to the Elysia comic website and get your pre-order purchased, along with any of the Elysia merchandise (prints, T-shirts etc) you’ll have also missed out on. In the past year or so, crowd-funding websites such as Kickstarter and IndieGoGo have become a really popular way for individuals and companies to gain upfront funding/support for their projects from the people who would be interested in buying the end-product. If successful, this method of funding means that these creative people can concentrate on producing their product rather than chasing around trying to gain funding from other sources such as banks and investors. Therefore we all get to see their cool end-products such as independent films, games, comics and board games much sooner than we might otherwise! Also, it’s worth bearing in mind, some may never see the light of day without this method of funding! Apple Purchased LaLa As ‘Insurance’ For iTunes – Could It Now Pave The Way For New MobileMe? In 2009, the music streaming service LaLa was snapped up by Apple in a typical move from the Cupertino based giants, and as yet nothing has come of it in any way, shape, or form. And today, executives at Apple declared that the move was indeed comparable to insurance, and they have no plans to replace the almost entirely dominant iTunes distribution platform with a streaming service. 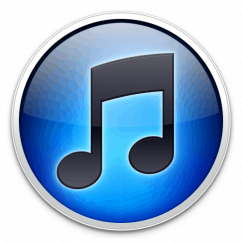 However, along with the discontinuing of Apple’s current MobileMe service, there is speculation arising that at last something will become of LaLa, as it becomes the building blocks for a new music streaming service from Apple, allowing iTunes users to upload their iTunes libraries to the ‘cloud’, and access the music from any device connected to the Internet. Of course, this is exactly what LaLa was originally set up to do back in 2007, so it is not altogether unfathomable that it may be the eventuality we are heading for. BBC iPlayer Added To Sony BRAVIA TVs – UK Internet Streaming TV, Who Needs Google TV? There has been a lot of development of late surrounding Internet-connected TV’s, with more and more services such as Google TV tipped as the next big thing in home entertainment. Unfortunately, most of the progress being made in the industry, including Google TV, is US-only for now, so it’s about time someone on this humble island nation of ours grasped the opportunity and provided consumers with some serious functionality on our IPTV’s. Enter Sony, who has long been a pioneer in the television industry and once again have come to our rescue with the introduction of BBC’s iPlayer to their range of Internet-connected Sony BRAVIA TV’s. Clearly, they felt that the World Cup streaming to Sony BRAVIA TVs and Blu-Ray players went well during the summer – perhaps that helped them develop this service implementation. Location, location, location, they tell us, is all important. Online it’s becoming increasingly pervasive with growth in smartphone take-up driving the development of location-based social networks. In the UK alone there are 11 million smartphone owners according to research outfit Comscore. 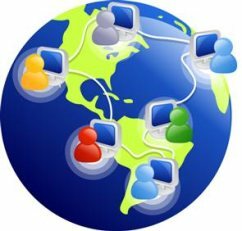 Why is it important to know your location when on the Internet? Well, if brands can tell where we are, as we are going to and from locations of interest, they can tailor their content and promotions accordingly. Matt Churchill blogs about music, digital culture and technology on Seldom Seen Kid, founded in 2008. He has been helping new bands to emerge as part of the music blogging scene and writing about the technologies that can help them breakthrough since 2006. A digital strategist by day, Matt helps brands keep up to date with the latest trends in online technologies. He is also an avid drinker of tea and purveyor of sport. He can be found on Twitter as @geetarchurchy. The Future Of Cloud Computing – Is It Practical? The release of Google’s Chrome OS is fast approaching, with builds becoming more regular, offering countless bug fixes and feature updates. Whether the uptake of Google’s latest and greatest cloud-based project will meet expectations, however, is yet to be seen. The computing world is certainly divided over the future of cloud computing (one of our Technologies of the Noughties) – even the many companies in Silicon Valley have divided opinions of the matter. Google, of course, are a predominantly cloud-based company. The vast majority of services on offer are designed for browser use, not local clients. Google Mail has to be specifically set up in mail settings for POP and IMAP access; the official Google Talk client is only available for Windows, hasn’t been updated recently and new features such as Google Talk Video Chat is only in the Gmail web interface. Also, other cloud-based services such as Google Docs is obviously all web based too. 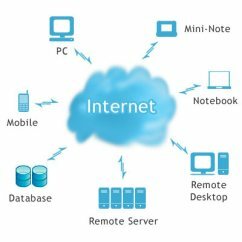 With more and more of the day to day computing needs of the average user becoming web-based, security has become a major issue for home and business users alike. Personal data is being stored online and the availability of such information over the web has become a great attraction for ‘cybercriminals’. Needless to say, with the growing amount of cybercrime occurring around the world, user’s awareness of their methods is becoming more and more important. Hence the reasoning behind Symantec’s latest Internet Security Threat Report (ISTR) which highlights many of the dangers that we unsuspecting web surfers may encounter, perhaps without ever even knowing it. First off is the danger in e-mail contact. Cybercriminals are buying and selling hacked e-mail accounts for as little as 65p. Once the criminals get a hold of your account details, i.e. your username and password, they can get onto your account and send malicious emails to your contacts requesting private information from them. Then, the person on the receiving end may give up such information with it seemingly coming from such a reliable source. And the cycle continues, personal details being leaked around the web and getting into the wrong hands. The Digital Economy Bill was passed in the House of Commons last night, proving that the whole process is simply a fiasco. The #DEBill did what few bills can do: it made a lot of people care about politics, care about it enough to watch the live stream from the House of Commons last night and cause a stir on many blogs across the net. Why then, would such a bill which could be, quite frankly, dangerous, be rushed through without thorough scrutiny and debate? It was painfully obvious that of the handful of MP’s present last night, many had no idea what the technicalities of the bill consisted of. Of those who did, the vast majority pointed out the real problems that the bill presents, and why it’s not going to be anywhere near as effective as is hoped. It was said that there is a target to remove illicit file sharing by 70%, which is an absolutely ridiculous overestimation of the results and bypasses the problem completely. A large percentage of file sharers, as pointed out by many of the MP’s present, will be teenagers who can’t afford to purchase the content whether or not they have access to the material via P2P networks. Whatever percentage of file sharers the bill deters, and it won’t be anywhere even remotely close to 70%, it won’t have as big an impact on the revenues of the music and movie industry’s as is expected. Invisible Hand is a remarkable piece of software which is lightweight and extremely efficient. 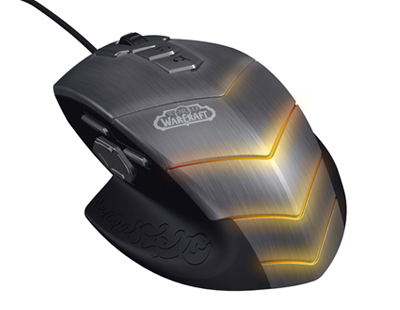 It is an add-on for your web browser that works as a real time price comparison tool. As you browse products on the web, the invisible hand automatically finds you cheaper deals elsewhere. For expensive retailers, it’s a nightmare, but for us consumers it’s a dream come true. After all, everyone loves to get a cheap bargain when they’re looking to do some discount shopping online. The software browses through 115 different retailers spanning the USA, UK and Germany. Obviously I can only comment on the UK as any others are unnecessary for me. In the UK the software browses major retailers such as Amazon, Curry’s, Dixons, HMV, Play.com, John Lewis and Misco. There are in total 46 UK retailers within the software’s capabilities. It was purely by accident that I came across Evernote. Probably a result of some well-planned marketing on their part, but sufficed to say, I was drawn in and carried out a little investigation into the service. I was intrigued and decided to download the program. In the end, I wasn’t disappointed. It is a simple idea which has been utilised to its full potential in my opinion. Basically, Evernote allows you to stay on the ball and organised with reminders, notes and more. They call it your ‘notable world’ and in all honesty, I couldn’t have put it better myself. So, I guess you’re all wondering by this point what it actually does. Well firstly, it allows you take text notes which you manually type in and store them in a pre-determined folder. This can include things such as shopping lists, to do lists and all things similar that you need to remember. 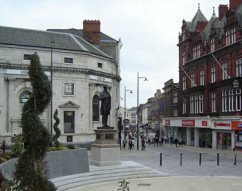 Darlington (UK) Appoints The First Official Town Twitter Tweeter! If there’s one thing that Twitter is good for (excluding wasting your time!) is the distribution of information with it sometimes giving better results than Google, and in fact, we heard not long ago about plans for Twitter to link up with news corporations to provide a stream of the latest real-time news. So the town of Darlington have taken the initiative and have decided to make the most of the internet craze by employing an official “Twitterer in Residence” whose job will be to make sure that people across the town are kept up to date with news and events both within and outside of the town via the social networking medium.